Naturality, taste and health reaching your home and workplace! 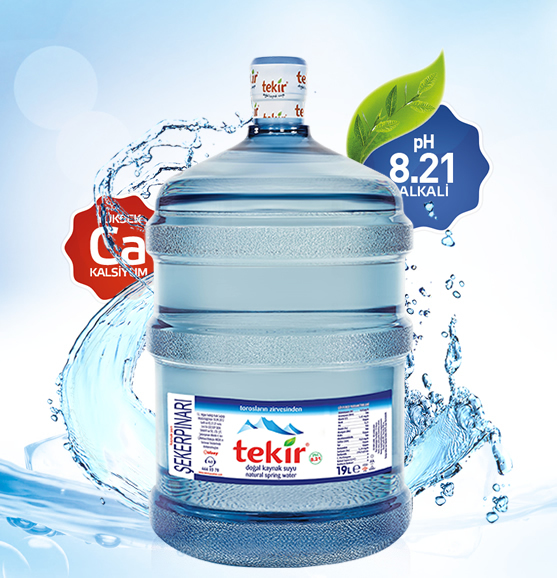 Tekir Water, produced under 100% hygienic conditions at EU standards with high end in 19 lt Polycarbonate packages reaches your home after tested numbers of times. Tekir Water Polycarbonate is at your door just in time after one call with quality service and machinery debonair employees. It stands by you for your health at any moment with its 8,21 pH value and balanced minerals! 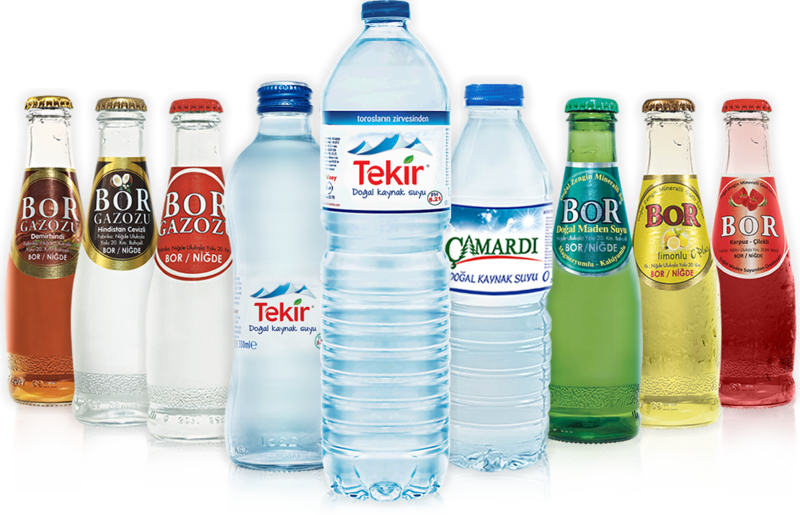 Tekir Water, which comes from Şekerpınarı Spring of Taurus Mountains, is bottled with its minerals untouched by human hands without changing its essence and its mineral structure without undergoing seasonal change. 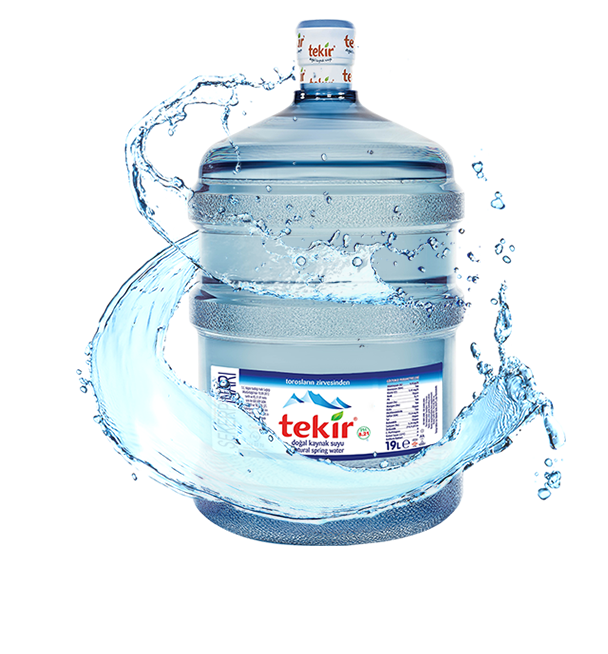 Tekir Privilege Sparkling Mineral Water, which outcrops by flowing through the proper chilliness of the underground with zero bacteria, is bottled at its source with all its naturality without needing any microbiologic and chemical process. It microbiologically healthy, and it is first of all known by its original pureness and mineral composition that remains stable in time. 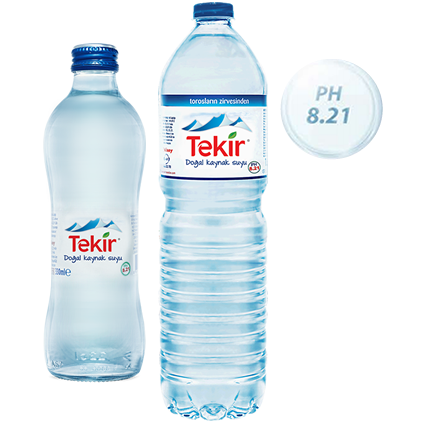 Tekir Privilege, which is in the category of the rich mineral water in respect to its mineral content, contains minerals such as calcium, magnesium, sodium and chloride, ions like bicarbonate and sulphate, and also trace elements such as fluoride, iron, iodine, selenium, copper and zinc needed for healthy body functions in ideal amounts. Thus, it has a remarkable value for your health. 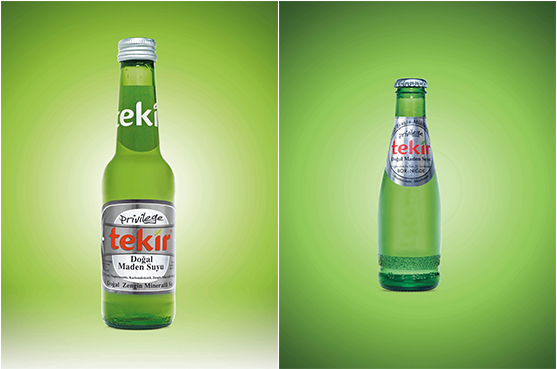 Definitely consume Tekir Privilige Sparkling Mineral Water every day; feel relief and privilege! Taste combining rich minerals and natural fruit aromas! 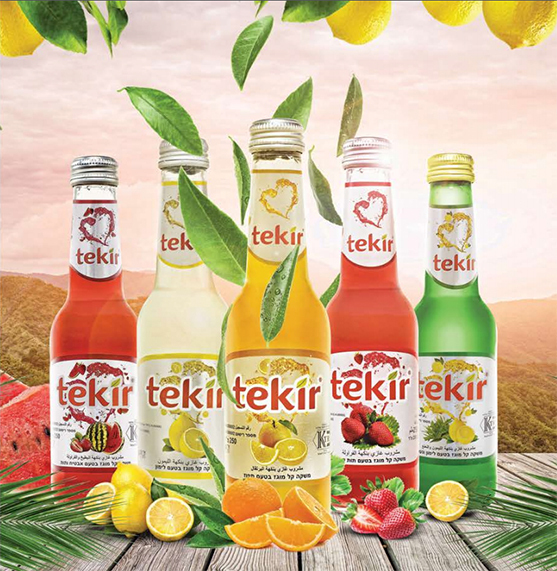 Tekir Privilege C Plus Lemon and C Plus Apple flavours contain vitamin C additive and natural fruit aromas as well as rich minerals of the mineral water. 1 bottle meets all your daily vitamin C need. Both take vitamin C and refresh by healthy taste with Tekir Privilege C plus products! Prepared by adding vitamins B and C for more taste fruit flavour with a variety of lemon, strawberry, tangerine, orange and blood orange. 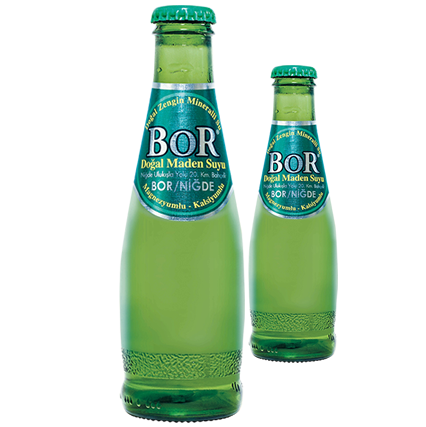 Produced from Tekir natural mineral water. 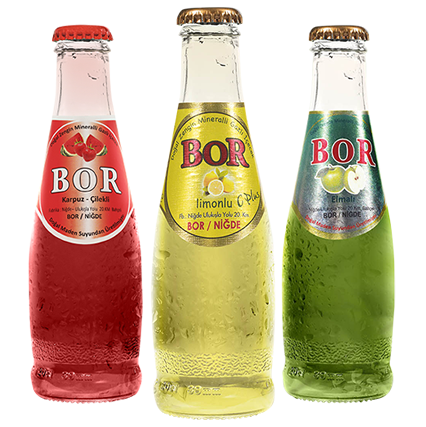 We added the most delicious aromas of Raspberry, Coconut and Gum Mastic and Made Bor Fizzy Drink for a fantastic taste! 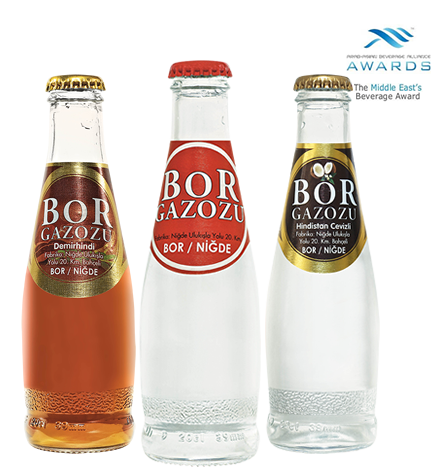 Bor Fizzy Drink was crowned with "Unique Carbonated Drink" award by The Middle East Beverage Awards at DUBAI Drink Tech Expo Fair. There is fizzy drink, but also unique awarded fizzy drink!